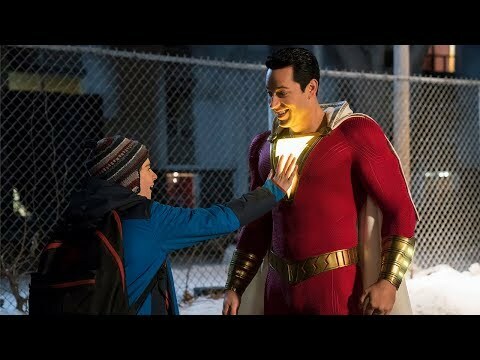 While 2017 was undoubtedly a strong year for film, particularly near the end, no year is without horrendous and misguided attempts to entertain. From the laughably bad to the atrocities of mankind itself, 2017 was not short on films that could’ve made this list of the worst of the year. With a handful of franchise entries, the poor scare attempts of January, and the flat out dull comedies, these are the worst films of 2017. Look it is not good, we all know it, but who doesn’t kind of enjoy disaster films such as this, no matter the quality. While painfully unfunny like many entries on the list, Snatched has one or two moments of slightly, possibly, maybe cracking a grin and that’s enough to not be as bad as the top 10. It’s a January horror film, therefore one should have never expected much. So while the film itself is more of a comedy than a horror, others left a worse taste in the mouth. Perhaps no other film on this list wasted potential as much as The Snowman. With bestselling source material backing it and a well assembled cast, the film seemed prime to be a success and yet it all fell apart. What audiences got instead was a mind-numbingly boring and overly convoluted plot that surely became a very expensive nap for many viewers. A Transformers film released this year and logically it makes the list in what might as well be tradition at this point. Nothing can be said about this film that hasn’t been said already, but at least it was marginally better than the last one…..maybe. The only reason this film isn’t higher on the list is because of how utterly forgettable the entire endeavor is. It is quite honestly hard to remember any joke beyond the sheer low brow nature of them all and how unfunny the continued to be throughout every minute of the film. CHiPs is truly awful and probably deserving of a higher spot, but at least it doesn’t fester like the others above it do. Netflix’s newest original film is unfortunately less of a blockbuster, more of a bust. In the mishmash of genres that Bright attempts, the film can’t manage to do any of them even decently and what is left is a dull, shell of what could’ve been a good film if done properly. It’s a wonder why Netflix thought it was ever a good idea to greenlight the sequel. In a prime example of a film that didn’t need a remake, Flatliners can’t even meet the low standards of its predecessor. In a laughable attempt at a horror film, the 2017 reboot fails to capitalize on any potential the premise had, opting for generic scares instead that makes the entire film, ironically, flat lining. Talk about completely missing the mark. Baywatch is not only humorless; the film lacks anything of substance beyond the juvenile comedy it thinks is outrageously hilarious. While clearly going for the same idea and tone of the 21 Jump Street films, Baywatch lacks any wit or cleverness to even be in vicinity of the success those films had. Fist Fight finds itself high on this list partially because it is an incredibly unfunny film and partially because of the continuous trend of presenting schools in a wildly unbelievable way. Yes, films involve some suspension of disbelief, but finding comedy in a dysfunctional high school shouldn’t require your guidance counselor to be a drug addict or your teachers to be violent. None of the humor works and wastes what seems like good chemistry between the two leads. While others on this list are outright terrible, Wish Upon is a bit redeemable, though not for anything being competently made. The “horror” film presents a wholly unoriginal haunted MacGuffin with laugh out lot moments throughout. The top two on this list should’ve never existed, but at least you can get some friends together, have a few drinks, and laugh at how bad this film is. This is a win for the Fifty Shades franchise honestly. To not be the worst film of the year is a major accomplishment. Don’t get me wrong, Fifty Shades Darker is a mountain of dull, incomprehensible, nonsense with exactly zero chemistry between its uninterested leads. But at least it isn’t the worst of the year, right? No. No. No. I refuse. Look I don’t want to talk about it, you don’t want to talk about it, but the acknowledgement of its horribleness is a necessity for this list to be truthful. 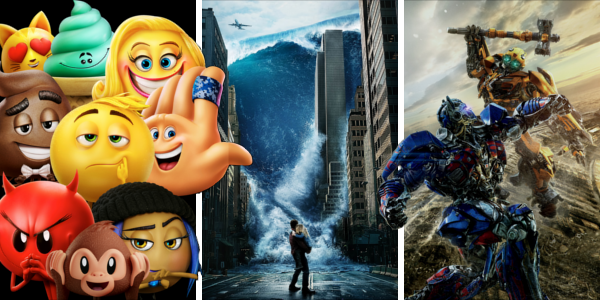 While the eternal conversation on product placement in films may ring louder when Michael Bay is behind the camera, The Emoji Movie is painful to endure. Let’s just never speak of this abomination to mankind ever again. So that’s it. The worst of the worst in 2017. Do you agree with my list? Are there any films that shouldn’t be on it? Are there some that should? Share, subscribe, comment below, and as always return to I Am Sam for weekly reviews and insight.